A traditional and award-winning market at the heart of a Lancashire town is embracing new ways to promote itself, while preserving that all-important personal touch. 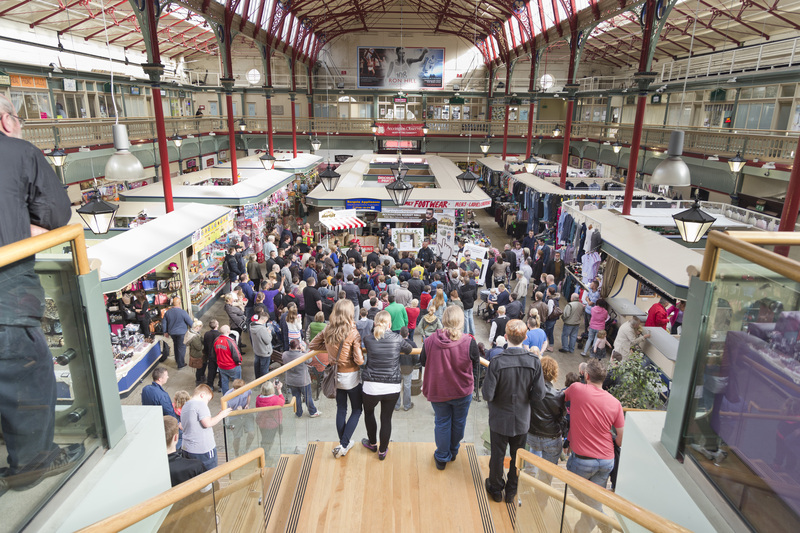 Opened in 1869, Accrington’s Victoria Market Hall is one of the finest buildings in the town centre, home to more than 60 kiosks under its dramatically high ceiling, and with more in outdoor pavilions alongside the Market Hall. A £2m. revamp of the historic Grade II-listed building was completed in 2010, quickly followed by it winning the coveted Britain’s Best Indoor Market Award in early 2011. 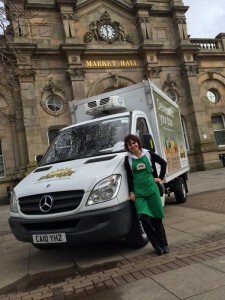 But it is people who make a market – the friendly traders, their stalls stacked high with quality fresh local produce at value-for-money prices, and their loyal customers, shunning the supermarket shelves in favour of a familiar face and caring personal service. Accrington could boast plenty of both, and yet the younger generation were not prevalent among the bustling market’s regulars. Whether it was down to their busy working lives, the culture of out-of-town superstore shopping, or just not knowing all the market had to offer, there was, literally, a gap in the market. What it came down to was “marketing the market” to a wider and largely untapped audience, and making its services more accessible to those with 21st century pressures on their time. Enter locally-based marketing specialists Scott Dawson Advertising, bringing a fresh and up-to-the-minute approach to promoting one of Accrington’s oldest attractions. It joined forces with Hyndburn Borough Council in a bold and innovative bid to combine the traditional market experience with the latest promotional tools. The result has been a pioneering pilot project – and a template that could be rolled out to other markets across the UK. Now Accrington Market has its own website (www.accringtonmarketonline.co.uk); its own dedicated YouTube channel (www.youtube.com/user/accringtonmarket); its own Facebook page (www.facebook.com/accringtonshops); even its own Twitter feed (twitter.com/AccringtonShops). 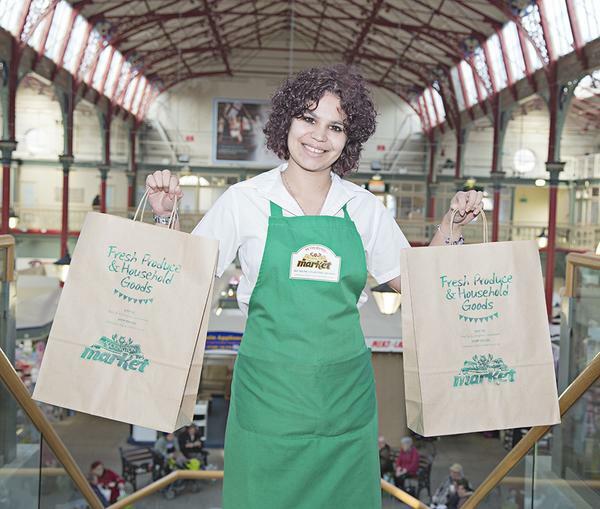 Kirsty (23), who works from the Market Hall, is often seen buzzing around the stalls filling customers’ orders taken online, by email or phone. 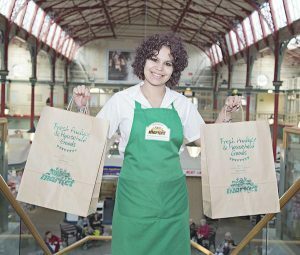 “It’s my job to oversee customers’ orders from start to finish, from the moment they come in until they end up in the customer’s hands,” said Kirsty. There are even special online discounts for customers using the website, with a range of money-saving eCoupons which can be cashed in at the PayPal checkout. 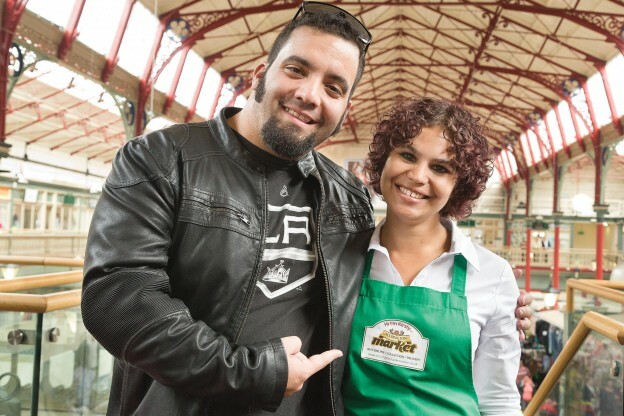 Nine months on from its official launch by Jesse McClure, star of the hit Dave TV show Storage Hunters, the online market is growing steadily, with neighbouring local authorities showing a keen interest. 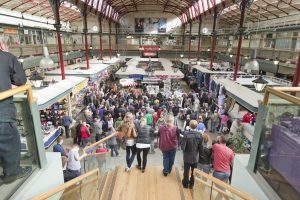 Cllr Clare Cleary, Hyndburn Council’s Cabinet Member for Markets, added: “We have a fabulous market housed in a refurbished market hall offering great local produce and goods from friendly stallholders. This entry was posted in Accrington, Hyndburn Council, Scott Dawson, Shop Local, video and tagged accrington, jesse mcclure, shop local on June 11, 2015 by admin. 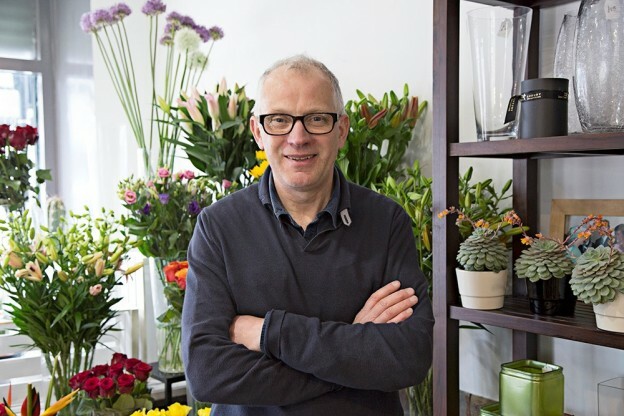 Local florist Going Dutch is the first business that has signed up to help attract more visitors and shoppers to Nelson town centre. The Chelsea Gold Medal winners, based on Manchester Road, were filmed in their shop last week and their video can now be seen on the dedicated You Tube channel, ‘Nelson Shops and events’. Nelson Town Team appointed Scott Dawson Advertising to run the promotional scheme to encourage people in to the town centre. Towards the end of the four month campaign in September there will be a food festival, with stalls offering a choice of English and Continental foods, as well as Asian delicacies. All shopkeepers are being asked to take part in the four-month promotional campaign and there will be opportunities for their businesses to feature in the promotional leaflet as well as in their own promotional videos. This entry was posted in Nelson, Scott Dawson, Shop Local and tagged Nelson, Pendle, shop local, video on June 5, 2015 by admin.